For what it’s worth, I still prefer the name Navision. As more of our clients are going live with NAV2017, we’re finding some inconsistencies on the features that were working as we thought it should, verses the way it’s working now. One of such feature is the Job Queue function. Note that this only applies to NAV 2017, they’ve since rewrote how this process works in NAV 2018. 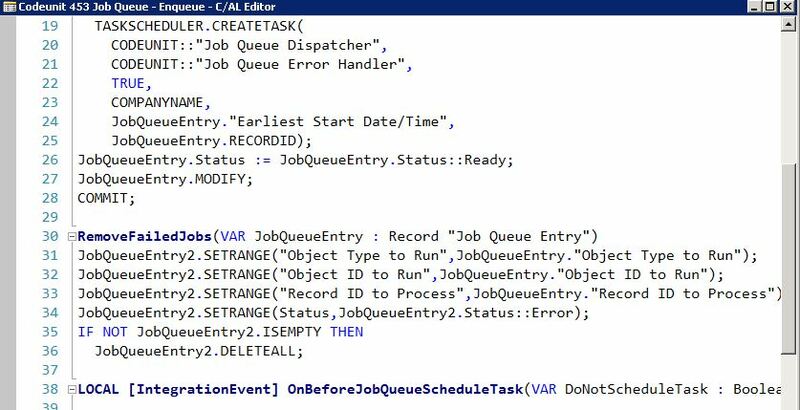 The purpose of a job queue is to run processes automatically at a preset time. For the process to run continuously, you would need to set the job to run as Recurring. If you do not set the job queue entry as recurring, it would delete the Job Queue Entry because the process is only a one time deal. This feature was added because the users are now allowed to schedule their reports using job queue. Some reports/processes only needed to be ran once for the user. After the clients went live, we started noticing the jobs that were set to recurring was being deleted as well. This confused the hell out of us because there were nothing on MSDN that talks about Job Queue Entries that are deleted when it’s set to Recurring. Digging into this, the problem is on Codeunit 453 – Job Queue – Enqueue. More specifically, a function called RemoveFailedJobs. Yes, I could’ve setup notifications to warn you if something failed… I didn’t need to do this extra step before.. This is a steep contrast to how Dynamics NAV Job Queue ran before. In addition, this is not how NAV 2018 behaves now. Doing this, the process will leave the jobs that are set to Recurring alone. I’m not sure if Microsoft has address this in the later CU releases for Dynamics NAV 2017, but if not, I would highly recommend you modify the code so your mission critical processes does not simply disappear! Overall the conference was a bit confusing for me as Microsoft had decided on the last minute to delay the release of the new version of Dynamics NAV “Tenerife”. This created a lot of confusion amongst partners and the people giving sessions on exactly what they’re trying to present. The general sense of the sessions I’ve attended is that everything is still to be determined. Which made it a really frustrating event in that whatever I learn today, may be wrong tomorrow. 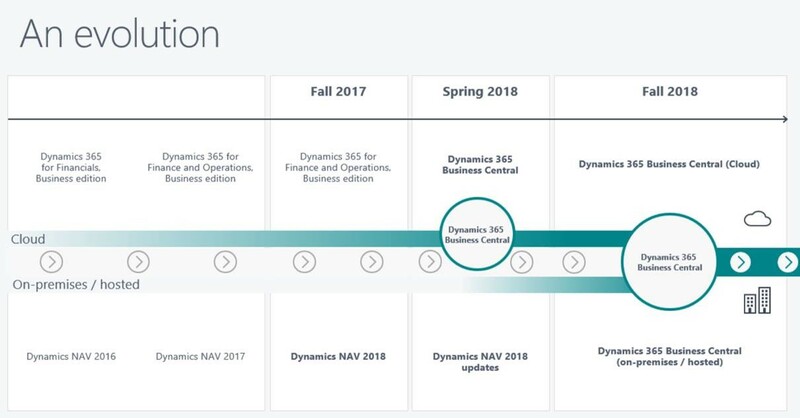 Dynamics NAV will be renamed to Dynamics 365 for Finance and Operations, Business Edition. Yes, it rolls right off the tongue. This release will be the full cloud platform that will include every functionality in the standard Dynamics NAV. The next release will be deployable on both on premise and full cloud. The highlight of this conference was the closing session given by Marko Perisic. It was a heartfelt and unscripted speech regarding the future of NAV, the reseller/ISV channel, and the blood, sweat, tears, and joys of Microsoft employees that worked on the Tenerife project. Marko firmly believes the future is bright for the Dynamics 365 for Finance and Operations, Business Edition. He is extremely proud of the product and what it can do for the customers. From what they’ve showcased so far, although a ton of work still needs to be done, I’m extremely excited for this release as well. In addition to pricing competitiveness, it will be hard to see why customers would want to purchase NetSuite or Acumatica when Microsoft releases “Tenerife”. If you haven’t already, get used to developing your custom code and addons for the Microsoft AppSource. There will be challenges on how you approach developing extensions and the pitfalls you will run into. You will not be able to remove code from the core product and you will not be able to dictate the order in which your extension and other extensions should run. Those are all under the To Be Determined. This is a recap of my experience at Directions US 2016. NAV Directions is an event hosted by NAV partners for NAV partners. In reality, it’s just a large Microsoft infomercial for partners. Microsoft has giving us what’s to come and the directions (pun?) they’re taking with the future of business software. The NAV Directions committee should’ve created an appropriate name for this year’s event. The conference featured a lot of cool stuff, but also a lot of questions surrounding its details. The event highlighted what Microsoft is currently doing as well as where they’re going with the product and the product ecosystem. However, a lot of what they’ve released to do seemed half-baked and left all of us wondering not only when Microsoft will be figuring their stuff out, but how will partners try to figure out what Microsoft is still trying to figure out so they can figure out what to do. In case you have not heard of it by now, Appsource is the way of the future that allows all developers to publish their mods for sale on Appsource. This is a welcomed news for independent developers as they can now sell their mods for the general public. It’s good for customers as well; Microsoft has indicated that they will “let the market decide” the pricing and the apps that are popular. Hopefully, we will see an end to outrageously expensive add-ons that are on the NAV channel. – way to quickly get your mod out into the world without doing too much marketing. – You can have people that have no business doing NAV publishing crap on Appsource. – No monetization?! It’s not a market if you can’t sell anything. Microsoft is still trying to figure this one out. It’s the way of the future. Microsoft has open encouraged all partners to develop their mods on Extensions. I will make a quick video on how to create an extension in a future blog post. – Debugging, no one can see the source code. You can easily see the problem here in that users can be held hostage by the app developer for their financial data (this is not Angry Birds we’re talking about here). The initial release will be called Dynamics 365 for Financials. It’s built on a Dynamics NAV 2017 platform. It will be part of the Office 365 offering at around $40 – $50 per user per month. The target for this product, as it stands, will be to replace Quickbooks Pro users. Later on, they will release (or unlock) more functionalities. – Appsource. You will get a wide varieties of add-ons that you can quickly buy and deploy. – It’s cheap and packs the power of Dynamics NAV. – Frankly, I don’t even know who my clients buy their Office 365 from. How will NAV partners compete in this space? How will the NAV pros help in this sector? Perhaps the product will be so easy to use that you will not need a professional to help you. Still trying to figure out how to incorporate this as a VAR. After leaving this event, I left with more questions and uncertainty than I came in with. It’ll be interesting on how it will all shake out. Recently, one of my employees challenged me about what my goal is for the company. I was taken a back because I never thought about this. I knew why I was working in this industry but I never thought it was relevant to tell anyone. What started as a short e-mail paragraph turned into a… Well… an essay. My original intention was just to circulate within the company, but I haven’t made an actual confession on this blog in a while. The times I’ve spent with my family are my most valuable moments. Why? Because when I was growing up, I didn’t have these moments. My father owned a business and made a lot of money. My mom was a pretty good mom when she was present. Looking at it from the surface, everything was nice. But we had a lot of problem as a family. To this day, I never understood why my dad thought money and status was so valuable or why my mom thought gambling was more important than her kids. I don’t blame them for what happened because it’s not their fault. They had to do what they did in order to survive. Just like what my brother and sister had to do in order for us to survive. We’ve all made decisions that we’ve regretted looking back; however, at that particular moment in time (and that particular environment) it was the best possible decision we can make. When I was probably 13 or 14, and I don’t remember what exactly happened, I cried in bed and made myself promise that one day I will start a family of my own and I will be a good husband and a good father. I will not let my kids to have the same kind of childhood I had. I will always be available when they need me and I will be their father. I will love and cherish my wife with all my heart and never let her feel lonely. I don’t know why. Maybe God took pity on me. I was able to achieve what I wanted. I met my wife and she gave me exactly what I was missing in my life. A stable family. Although striving to become a good husband and a good father is still an ongoing process, there’s not a moment where I don’t feel blessed and feel that I’m incredibly lucky. Because of my past, I frequently think about how we can finish our work in a more efficient and accurate manner. So we can quickly go home to our loved ones. Every time I see people work until late at night, I always think about that person(s) waiting for them at home. But they couldn’t go home; they had to finish their work. I want them to use that time at work, and instead use that to spend time with their kids and loved ones. Because time, once it’s gone. It’s gone. So why do I want to get into the ERP software industry? My answer is that it was not my intention. You remembered when I said that I was lucky earlier? I think I really am. When I was a student, I only had a student visa. After I graduated, I needed a company that was willing to sponsor for my permanent stay in the US. My grades weren’t that great and my social skills were lacking, but I made sure my determination and persistence was there. After countless interviews and networking/recruiting events, no companies hired me. My lucky break came when one of my friends gave my resume to a company that sold Navision (my friend worked in a company that bought NAV). This company was very special, it was their strategy to hire a tone and fire quickly you did not work out within a few months. During my 2.5 year at the company, I must’ve seen 30-40 people come and go, and we were only a 10 people company. At the time when I got started, we had the Y2K problem. Within a month, there were on average of 3-4 implementations going on. It was trial by fire. Tiring, but fun. I remembered my first year in this company. When I go to client sites to implement NAV, I couldn’t believe why people needed to work such long hours. What were they working on? Why does it take such a long time? I always thought, if they can finish their work could they go home earlier? This gave me the insight into how I can use software to help other people. I wanted to learn more about ERP (in particular Dynamics NAV) so I can help others. This will become my tool to help others to have the opportunity to give what I’ve always wanted when I was growing up. A happy family. It’s that time of the year again. Time to send out those 1099 to your vendors in Dynamics NAV. 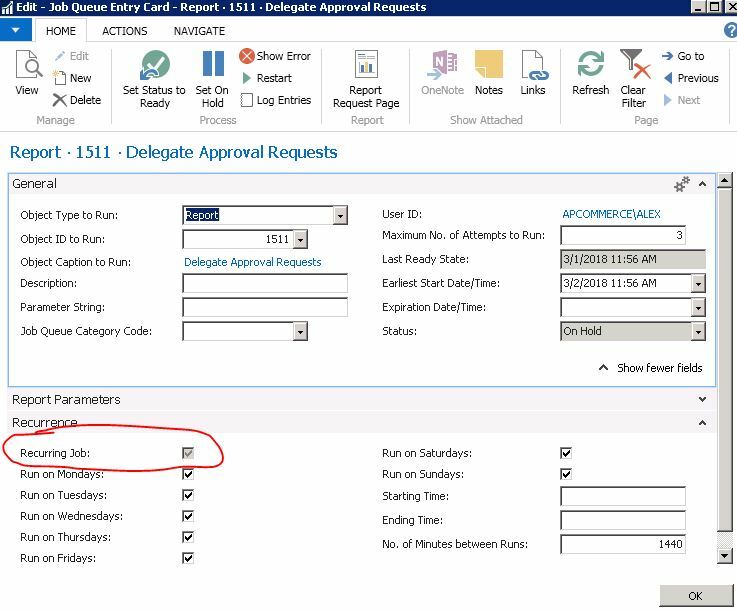 Here’s a quick video of how to process 1099s in Dynamcis NAV and how to process vendor 1099 invoices and and print out 1099 forms in Dynamics NAV (In 2 minutes or less no doubt). If you forgot to put in the 1099 at the time of setup (which you should’ve done when you made your vendor sign that W-9 form), it will not be defaulted when you enter the purchase invoice. But don’t worry, here’s an object that will fix all of the historical transactions for the vendors with a valid 1099 code specified on the Vendor Card. Note that this function will not address the situation where some invoices for the vendor are 1099 liable and some invoices that are not 1099 liable. This program will go through and modify all of the historical transactions assuming the 1099 code for all historical invoices are what’s setup on the Vendor Payment tab. I would highly suggest that you get with your Dynamics NAV partner to do this with you. Looking through the hardware requirements for Dynamics NAV 2013, it looks like there are a couple of things the end user will need. More noteable, it looks like now the computer has to be running at least Windows 7 in order to use the NAV 2013 Windows client. There are mixed feelings about this, while I do understand that Windows XP is no longer supported at Microsoft, I’d safe at least half of our customers that are using NAV are still using Windows XP. So if an upgrade is considered by the end user, they will have to budget for the OS as well. Not to mention the new customers that are considering Dynamics NAV as their ERP of choice over the competitors. If XP is running okay, why am I going to spend another chunk of money on each computer? Fortunately, the era of desktop computing is dying. We actually have quite a few customers replacing the desktop computers with Thin Client boxes for each non-executive people in the office. What people basically do is RDP into a powerful server to do all of their data entry, report processing, e-mails, etc. Let me say that these thin clients has dramatically lowered the IT cost of maintenance for each user in the company, not to mention virus infections, going to sites they’re not suppose to, etc. So the next time you’re planning to do a mass upgrade for all of the computers in your office, thin clients may be the better option. This is especially true in this case where the new ERP requires new technology. Depending on how hard the community pushes back, maybe they’ll add XP compatibility probably as a service pack or something. I personally do not believe this is necessary, but I’m just one man. Here’s a complete list of the requirements if you’re upgrading to Dynamics NAV 2013 or Navision 7.0. Here’s quick tip on entering transactions for the credit card. Sometimes, when you make a purchase using your credit card, but you want to keep track of the purchase against the vendor, you don’t want the credit card statement to come in at the end of the billing period to enter that information. Here’s a way to enter that information against a specific vendor instead of towards your credit card vendor account (i.e. American Express). When you drill down on the vendor ledger, you’ll noticed that the Invoice will have been paid by a coorsponding entry. The reason is because you did infact paid for this purchase with your credit card. The amount that you owe for the credit card will be recorded in the Credit Card Clearing Account on the G/L. When the statement comes in, instead of having the transaction go into the regular expense account, you will use the Credit Card Clearing Account. So at the end of the billing period the Credit Card Clearing Account will always be 0. The same concept can be used to handle credit card charges for salespeople on the field. Some companies uses separate G/L accounts for each sales people, some people use dimensions. It’s really up to you. Dynamics NAV (Navision) is a comprehensive ERP system. As such, it has many features that caters the different needs of businesses, for example, manufacturing, service managment, CRM, distribution, etc. Each one of these functional areas can be configured a number of ways depending on the needs of the business. During my time working at AP Commerce, there are never any shortages of investigating different setups based on on the needs of a business. What you think you need may not be what you need. Yes, I did write that in one stroke without flinching. One of the most common requests from potential and current users of Dynamics NAV (Navision) is they want to effectively manage their warehouse using warehouse management system. The question I’m always tempted to ask is: “What type of Warehouse Management are you looking for?” Of course I never ask that question because this will cause more confusion than I can handle. So why am I tempted to ask that question? Again, in each functional area in Dynamics NAV (Navision), there are a number of ways to set it up. Having said that, here are different ways to setup WHM for your business. Note that Warehouse Management can be defined per warehouse, so every warehouse that you have can be setup differently. NOTICE! The purpose of this article is not to give you a complete step by step instruction on NAV warehouse management, the purpose is to give you some knowledge on different ways to go about implementing WHM so you can have some knowledge and input when you speak with your Dynamics NAV partner on it. One word of caution is when implement ANY warehouse management system, you have to make sure your warehouse is organized, efficient, and accurate. A lot of companies make the mistake of buying a warehouse management software because the warehouse is too messy. Software, in general, is designed to streamline your operation and speeed up the processing. If your warehouse is disorganized, inefficient, and not accurate, any warehouse management software will make it worst. You will be disorganized, inefficient, and inaccurate at a faster rate. Garbage in, garbage out. From initial look, if you just want to keep track of the items on the bins, this is the option for you, right? Unfortunately, no… I’ve never been in an implementation where we just place a checkbox on this field without at least enabling Ship/Pick or Receive/Put-away. Just checking this on enables you to keep track of items by bin, however, one of the main problem with just checking this on is that you specify bin on the purchase and sales order. So if you have an item that’s on 2 different bins, you have to split the sales/purchase lines. Not only that, if you want to move an item from one bin to another, you have to use the item reclass journal, which effectively creates Item Ledger, value entry, and the general ledger. Doing physical inventory may also create a lot of excessive entries that will bog you down when you use the Item Ledger to do any sales and purchase analysis. You Typically See This Setup for: No one. You’re better off using the Shelf/Bin No. field on the item card. This is how NAV 2.0 handles bins. We’re in Navision version 7 (Dynamics NAV 2013) now, no sense in going backwards when there are better options. Just enabling these option allows you to use the Warehouse Ship/Receive function. The main purpose of the Warehouse Ship/Receive is to allow the user to batch the sales orders by a container or a trailer going out per carrier. This option is typically enabled for companies that ships and receives by containers. The warehouse shipment is typically used to generate your bill of lading for the trucker. Without turning on Pick and Put-away, I would NOT recommend turning on Bin Mandatory. You would encounter the same problem that I’ve stated above. For smaller companies, spliting up the warehouse process may not be necessary. This is an option is what I would like to call the mini-fullblown warehouse management. This options provides the flexibility for the warehouse staff to create warehouse put-away and warehouse picks as they see fit, they can also assign these warehouse documents to the appropriate people to do the processing. Another way to use this feature is to allow the order fulfillment people to create the pick request to the warehouse without actually printing a pick ticket. The draw back of using this option is that you’re only allowed to have one sales/purchase order per put-away/pick. This means that you won’t be able to group the orders together in one warehouse shipment (as stated above) to generate a consolidated bill of lading. Same goes for the receiving side, you won’t be able to receive by container or by bill of lading. This option works perfectly if you want to enable Bin Mandatory. 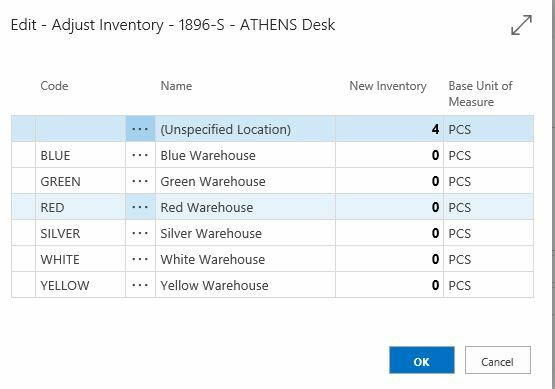 The Inventory Pick/Put-away document generated will allow you to split lines at the warehouse document level so you can put the items away in their proper bin without having to modify the original purchase or sales order. You Typically See This Setup For: Companies that would like to organize their warehouse by bin, but does not have the manpower to go Directed Pick/Put-away. This is the full deal. It has all of the benefits that I’ve listed above. Group order together by warehouse shipment and be able to pick and put away by bins. Not only that, this allows you to use ADCS (wireless handheld device) so your warehouse staff and record warheouse transactions using the handheld. It’s highly recommended that you get with your Dynamics NAV partner and discuss which setup is right for your business RIGHT NOW with consideration for future growth. If you try to implement everything without any consideration for your current operation, the opertional efficiency will decrease. This is because of the increased overhead and maintenance that are required. Make sure your company have the manpower and the infrastructure to absorb the overhead and maintenance required so the increase in efficiency and accuracy can be realized. Do not implement some feature just because you like the feature. In most cases, it will be overkill. It’s like buying a size 10 top-of-the line Nike tennis shoes for your 3 year old son and forcing him to walk in it every day. Eventually, he will grow into it. But by the time he grows into it, he’ll develop some other major problems that will cost more money to fix.